"Like so many of us who work with children in the church, we discover that music is where our relationship with God is nourished." Statistically, musical aptitude can be graphed as a bell curve: very few people have limited musical aptitude and very few have enormous aptitude. Most of us fall in the big bell shape. Think about that: the difference between you and Yo-Yo Ma might simply be practice rather than genius. And many natural musicians are not inclined towards joining choirs but love to sing. Song and singing is a cornerstone of Church School and Children’s Chapels. Singing is a noble expression of the human spirit. Through our breath and voices we are in the moment and through our songs we are brought to possibilities. 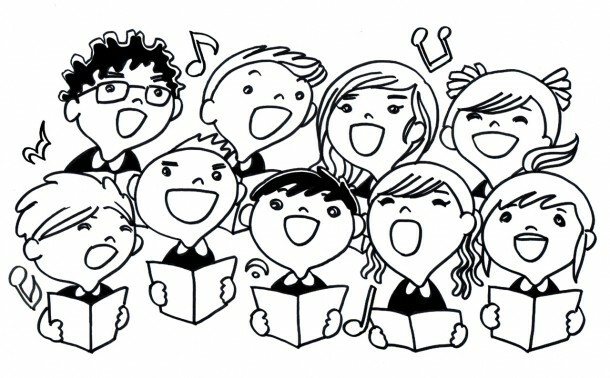 Yet a number of churches unintentionally overlook children’s singing until they are ready for a chorister program, putting an emphasis on music literacy rather than the activity of singing and making music. Research indicates unless someone can execute the basic musical skills of singing on pitch and in rhythm by the age of 9, remedial work is necessary to achieve those two skills. By engaging in children’s music classes – as a parent, caregiver, grandparent, or assistant – the remedial work gets accomplished and the false belief that one is “just a listener” is shattered, replaced by a the original, more accurate and whole perception of self. It has been my great delight over the years to have worked as an early childhood music specialist in churches and schools. Like so many of us who work with children in the church, we discover that this is where our relationship with God is nourished. Below is an outline of how to positively engage young children (1st grade and younger) in the Church School or Chapel in singing. It is oriented towards the practical, rather than the academic. The range of the average child’s voice is limited to the interval of a 5th or a 6th. An interval is the “space” between two different pitches - “Twinkle Twinkle Little Star” has the range of a 6th; middle C to G is a 5th. By first grade, the range is about an octave – from middle C to the C an octave above. Children’s voices are set “higher” than adults and songs should not go below the D one step above middle C. High notes should not be pushed. Children cannot audiate – literally hear –what they cannot sing. If you are teaching children a song in a range intended for an adult voice, you will be frustrated and the children will get the wrong message about their participation. So, keep it simple. Don’t pull out your big grown-up voice, but enjoy accessing a headier, gentler sound when teaching with children. Head voice and chest voice are functions of laryngeal tilt, but we don’t need to have extensive technical knowledge to discern when we’re pressuring or muscling up our voices instead of allowing that easy production to flow. When choosing music for children’s chapels and Sunday school there are long-standing traditions on which to draw. Spirituals, folk songs, simple choir songs, fragments of hymns – contemporary or traditional. Paperless is better than reading – once a song is memorized a child will carry its message for a lifetime.